We know there is no substitute for fine quality and we take great pride in the projects we complete. TrueSon Exteriors is a premier exterior home remodeler dedicated to affordable quality and service. Located in the heart of Missouri, we pride ourselves on serving our community and bringing dreams to life. TrueSon Exteriors was founded with the mission of providing affordable and high quality exterior remodeling services to the residents of Central Missouri. As life-long Missourians, we pride ourselves on serving our neighbors and community members with home improvements that will add enjoyment and value for years to come. From roofing and siding to windows and doors, the highly trained technicians at TrueSon Exteriors are proficient in a variety of quality exterior renovation services. Our goal is to bring dreams to life in a way that is timeless and affordable for our customers. 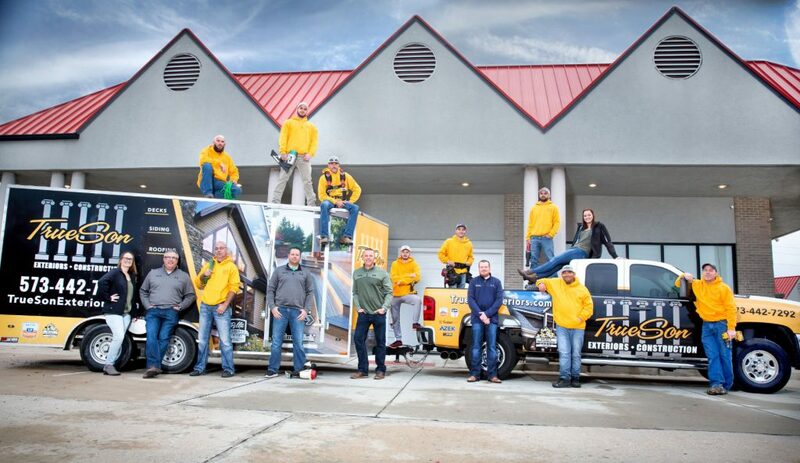 Centered in Columbia and Jefferson City, TrueSon Exteriors is Mid-Missouri’s premier exterior home remodeler. Our talented team of contractors pride themselves of delivering desired results through attention to detail and customer service. With continuous foresight and education, we ensure they are up to date on the newest industry trends and methods. As a locally owned and operated business, TrueSon Exteriors offers a five-year labor warranty on all of our completed projects. We believe if you trust a company with your home, you deserve to receive the highest quality service and final product. There is no substitute for fine quality, so we take pride in completing your project on time, on task and on budget. At TrueSon Exteriors, our customers matter. Contact us today to learn more about our team, experience and services. We would value the opportunity to make your dreams a reality and improve your home. For your convenience, we provide a free and accurate estimate for your project. TrueSon Exteriors operates by an essential set of core values that impact the way we do business. Born and raised in Ashland, MO, Barry has lived in Boone County his entire life. 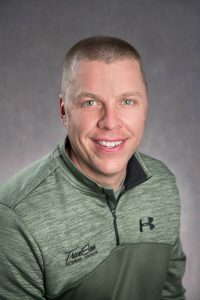 After graduating high school in 1995 from Southern Boone County High school he attended the University of Missouri where he earned bachelors in Psychology. Face to face interaction and building relationships with people have always been one of Barry’s favorite things to do. In 2010 Barry and his wife Jana started TrueSon Exteriors LLC. From there he hit the ground running and building relationships was the first priority in order to start a solid foundation for the business. Barry and Jana have 2 children, Mason and Josey, 6 and 3 respectively. In their spare time the Roewe family enjoys, sports, all things Mizzou, boating and spending time with family and friends. 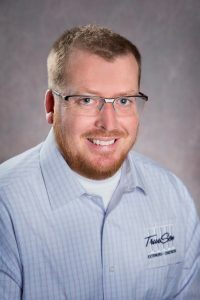 Using high integrity, honesty, quality and great customer service Barry plans to continue to grow and expand TrueSon Exteriors into the future. Nevada was born and raised in small town North Dakota where he helped his dad in the construction field through high school. He served in the Army National Guard from 2000-2008 including a tour in Iraq in 2003-2004. His wife, Michelle, brought him to Missouri where they spent their first few years living at the Lake of the Ozarks. In 2012, they moved to Columbia and fell in love with the college town atmosphere. Nevada earned an Associate and Bachelor of Business Administration degree from Columbia College from 2011-2014. 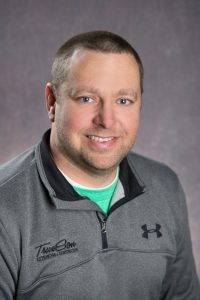 Nevada started working at TrueSon Exteriors in 2014 and his favorite part of the job is being able to help clients turn their visions into reality. He is active in a local BNI chapter, Team Red, White and Blue, and enjoys building relationships with other business professionals. Nevada is currently a member of the Leadership Columbia class of 2018. Nevada enjoys Mizzou football & basketball, St. Louis Cardinals games, traveling, and trying out new restaurants. Tyler has been in the construction business for 20 years. He spent his time as a kid remodeling the house he grew up in with his father. The house was built before the Civil War and it got him interested in the field. He ran with it from there. He has a wife, Amy, and two daughters, 11-year-old Lydia and 8-year-old Maggie. They spend weekends in the spring and summer at the lake swimming, boating, and fishing. They spend their fall weekends at Mizzou cheering on the Tigers and the winter just trying to stay warm and catch a Tiger basketball game. MIZ! 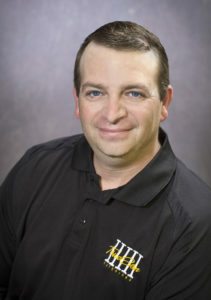 Chris has over 20 years of construction knowledge with a broad range of residential specialties. From the interior to the exterior of a home, he recognizes current and potential issues. He has the experience and the expertise to perform a proper repair and ensure the project gets done correctly upon installation. His dedication to his clients is unmatched, and his professionalism is something you can appreciate. Chris continues to progress his passion for construction and his enthusiasm for getting the job done well. He enjoys almost every outdoor activity and spending time with his wife Lisa, daughter Kaitlyn, and sons Cameron and Jaydon. Kara has been with TrueSon since 2013. She is responsible for managing all daily office activities including accounts receivable, accounts payable, Human Resources and all other reporting and record keeping. Kara also assists with bid estimating and ordering. 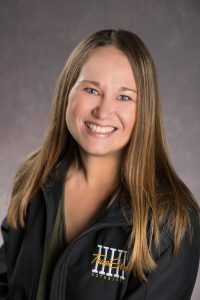 She has taken extensive coursework through the years and has over 10 years of experience in numerous fields, including computer programs and accounting. In her spare time, she volunteers with her son Vance at the Central Missouri Humane Society in the evenings and on weekends. She also enjoys going to Mizzou games and spending time with her husband Seth and son Vance. 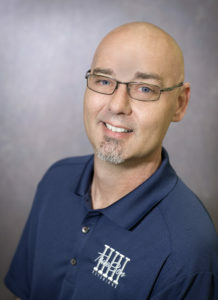 Brian has over 20 years of experience in the construction industry. He oversees the entire crew as well as each project from the beginning phase to final phase. He works closely with owners and coordinates job schedules to ensure the entire process runs smoothly. Brian is known for his exceptional craftsman detail and service. Brian believes in making the experience of renovating your home as enjoyable and rewarding as possible. He enjoys hunting, watching sports, and relaxing with the family. LOOKING FOR EXTERIOR WORK? GET A FREE ESTIMATE!